The term HAZWOPER stands for Hazardous Waste Operations and Emergency Response Standard, and is a set of standards created by OSHA. These standards are specifically applicable to five groups of employers/employees according to OSHA, but they can also be used by many other facilities looking to improve their hazardous waste safety. Whether your facility falls into one of the above five mentioned categories or not, it is a good idea to learn about how to analyze a specific situation to determine whether or not further safety precautions are necessary. When performing a HAZWOPER analysis, it is important to include the following five steps to ensure it is done properly. Respiratory Hazards – Identifying whether or not there is a hazard present that can cause injury or other problems if breathed in. Whether this hazard is caused by smoke, chemical fumes or other things at this stage is not necessarily important. Fire or Explosion Hazards – See if there is a risk of fire or explosion in the area. This could come from a gasoline spill or any other flammable substance. Biological Threats – Are there any biological agents present that could cause illness or fatalities. Chemical Burns – Are there any chemicals present that could cause burns or other physical injuries. The next thing that must be done is determining the characteristics of the site. This is important because depending on the information gathered here, you may need to take steps to ensure employees don’t get lost or otherwise injured. Some things to determine at this stage of the HAZWOPER analysis include the size of the facility, a general description of what is present, how long you expect employees to be in the area, where the entrance and exit points are and any other details that may be relevant. In addition, at this step, you should attempt to determine the exact chemical and/or physical properties of the hazardous materials at the site. When possible, identify the specific chemical, what form it is in (solid, liquid, gas) and any other information about it. Based on the information gathered in step one and two, you will now determine what personal protection equipment (or PPE) is needed for the job. For example, if in step one you discovered that there are toxic fumes that can cause respiratory distress, a source of clean air is necessary. Once you have decided what PPE is necessary, distribute it to the employees who will be entering the area. Remember, the safety of the cleanup or rescue teams is paramount, so never send someone in without the necessary PPE. In many hazardous material situations, things can change quite quickly. This is why it is important that you take proactive readings and analyze any new information that comes in as soon as possible. For example, if someone in the area discovers that the temperature is beginning to climb, this could increase the risk of fire or explosion. In some situations, the risk of ionizing radiation becoming present based on chemical reactions or other situations can be quite severe. Keeping up on a potentially changing environment is essential for the safety of everyone involved. During and after a HAZWOPER analysis it is possible that employees as well as anyone else in the area could be exposed to significant chemical hazards. In many cases, the hazards can cause health and safety issues immediately, which need to be addressed first. Exposure – Letting them know what exactly they may have been exposed to. Long Term Risks – If there are any known long term risks, provide them with details on them, including symptoms to watch out for. Immediate Risks – As soon as you are aware of a specific risk to the people in the area, the information should be shared. Any other information you have about the situation should always be shared as soon as you can safely do it. This information should be given to employees, contractors, sub-contractors and anyone else in the area so they can properly respond. One great way you can help improve on conveying this type of information is to print off temporary signs and have them placed in an area where they can be easily seen. If you have an industrial label printer in the area, you can quickly create custom labels that let people know of the specific hazards in the area. 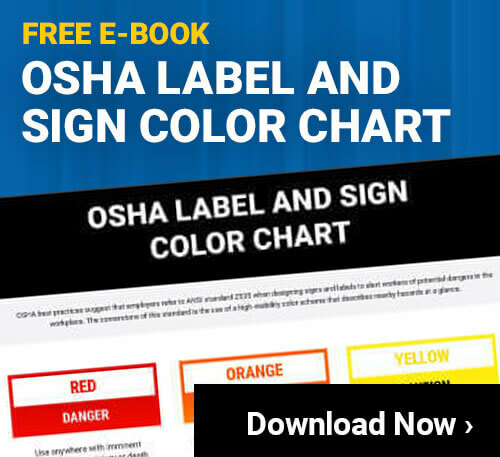 This can even allow you to color code the labels based on severity, or use pictograms or other things to help make sharing the information easier. Keep in mind that the main reason a HAZWOPER analysis is done is to help keep everyone involved as safe as possible. Even if there are people in the facility, it is key to go through these steps so you can keep any rescue personal safe throughout the process. Skipping any of these steps could cause problems for those doing cleanup or rescue, which only leads to more victims.